Canada's second largest cannabis company plans to place its U.S. assets into a new separate company that will focus on investing in the cannabis and real estate sector there. 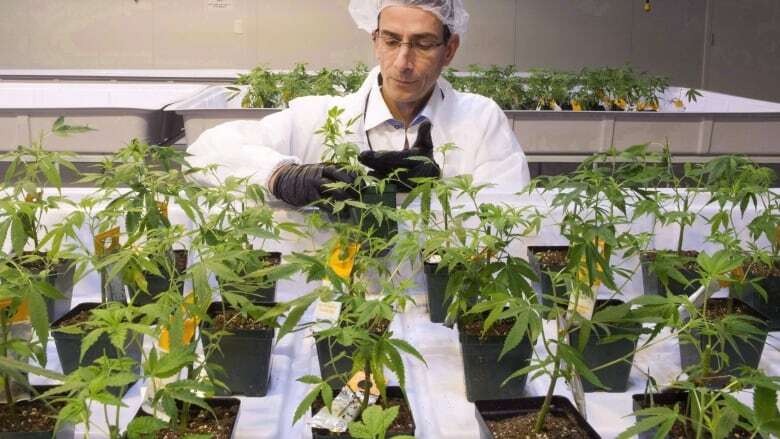 TSX-listed Aurora Cannabis said Wednesday it plans to distribute units of its subsidiary Australis Capital Inc. to shareholders in the near future. Canadian residents who own Aurora shares will receive one unit in the new company for every 20 shares in Aurora that they currently have. They will continue to own their shares in Aurora, but will also own shares in the new company too. Shareholders will also receive a warrant that allows them to buy more shares in the new company for 25 cents each, one year after the deal is finalized. Non-resident shareholders of Aurora won't receive units, but will instead receive the equivalent cash value. Australis will then be a separate public company that trades on the Canadian Securities Exchange, not the much larger TSX. "The proposed distribution of Australis shares and warrants delivers an immediate return to Aurora shareholders, and creates the opportunity for holders to benefit financially as Australis executes on its investment strategy in the U.S.," Aurora's CEO Terry Booth said in a release about the plan. Shares in Aurora gained about 20 cents on the news, changing hands at $9.75 apiece on the TSX. The cannabis sector was higher on the whole because the legislation to make the drug legal passed its final hurdle in the Canadian Senate on Tuesday, but Aurora specifically was a major mover — it was the most actively traded stock on the entire TSX on Wednesday, with 18 million shares changing hands before noon. Edmonton-based Aurora has grown rapidly in recent months to become the second largest publicly traded cannabis company in Canada, behind Canopy Growth primarily through acquisitions. Most notably, the company acquired Cannimed for just over $1 billion after a public takeover fight, and then recently bought MedReleaf for $3.2 billion. While 29 U.S. states have legalized the drug in some form, cannabis is still illegal at the federal level, which is why Aurora is eager to place its U.S. assets into a separate company, to make sure it is clearly on the right side of the law for any investors looking to buy into the company. Last year, the company that owns the Toronto Stock Exchange warned companies that list on it to make sure they obey all U.S. laws surrounding cannabis, and the deal announced Wednesday is clearly aimed at adhering to that. As a result of the deal, Australis will now be poised to acquire cannabis assets within the U.S. to better position itself if and when the drug becomes fully legal in the United States too. "The fragmented U.S. cannabis market has many innovative and successful operators that struggle to access growth capital," Booth said. "This creates exciting and attractively priced opportunities for the well-connected and knowledgeable team at Australis to capitalize on. "While regulatory requirements vary greatly from state to state, Australis are well prepared to navigate this landscape, secure opportunities, and pursue growth." Aside from what current Aurora owners will get, Australis says it intends to issue 75 million shares at 20 cents each through a private placement to raise $15 million. And Australis will receives $500,000 from Aurora, as advance payment for warrants to buy Australis stock for the next decade.